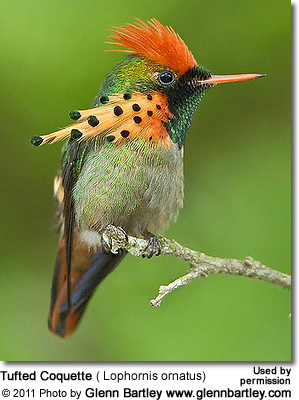 Hummers produce two types of sounds - vocalizations and the sounds their wings or tails make. 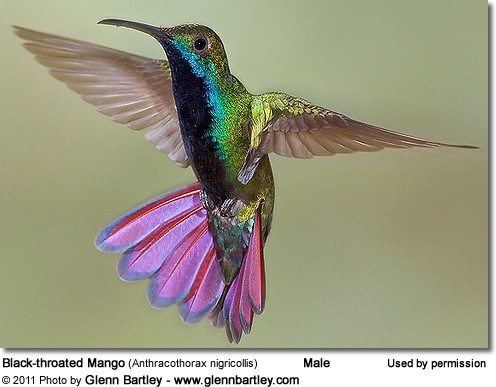 Hummingbirds have relatively weak vocal cords and most species only make chirping and chattering sounds. They have different calls / songs for when they are excited, defending their territory, wowing potential mates or simply when flying from flower to flower. 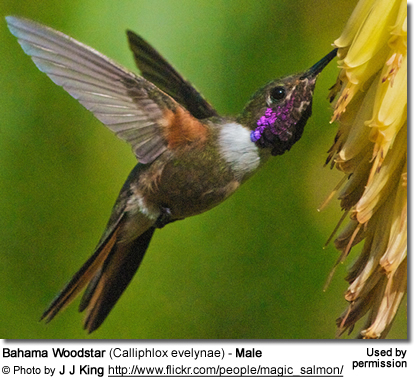 Some hummingbird enthusiasts noted that they know what a hummer is doing just by the sound they are making at the time. The males are generally more vocal than the females. Hummers were named for the low-pitched humming sound they make through the rapid movement of their wings, when they are in flight. The sounds differ depending on how fast it beats its wings. The males of some species rely on their tail feathers to make chirping sounds during a high-speed display dive to attract females. Studies at the University of California, Berkeley, conducted by two students (lead author Christopher J. Clark, a UC Berkeley graduate student in the Department of Integrative Biology), showed that the outer tail feathers vibrate like a reed in a clarinet. 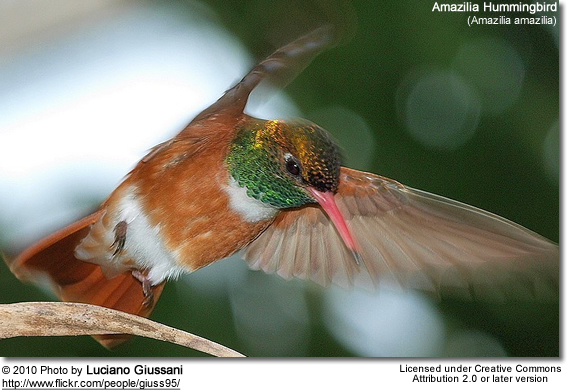 The hummingbird's split-second tail spread at dive speed produces a loud, brief burst that sounds like a chirp or beep.